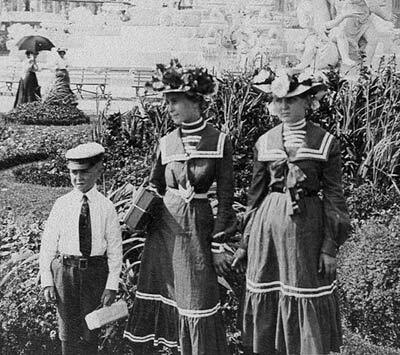 The Pan-American Exposition held the same kind attraction for children in 1901 as Disney World has for children today. It was very big and very different from their daily lives at home. 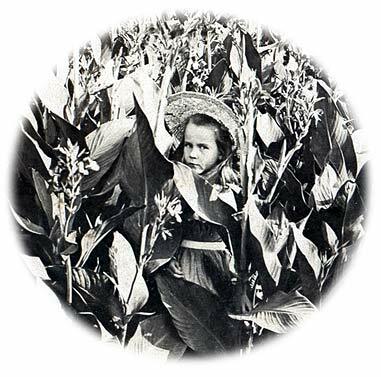 1901 children could see wild animals up close, go on rides (Trip to the Moon, Scenic Railway, Ferris Whee, Captive Balloon), watch mock battles in the stadium (Buffalo Bill's Wild West show). There were people to see that they had never seen and possibly never heard about (Native Americans, Africans, Japanese, Mexican, Fillipinos). They could eat french fries and potato chips, drink orange ade and sarsparilla (root beer). And, if their parents weren't too tired at the end of the day, they could stay to watch the illumination of all the buildings at the Exposition at sunset as the thousands of little light bulbs grew bright and say, as did one little girl, "Oh, isn't it beautiful? Is it really real?" Here is a child's ticket with prices in 1901 dollars and 1999 dollars.